Check out the Payette HSB Gauge!! A couple of weeks ago we were at the Gutter with our friends the McLeods, Jacksons and Vorhees. Link was there with is super-duper camera and keen photographic eye and snapped off these pics of the boys that I really liked. The colors in the shot of Ethan and Troy are really vivid. Devon Barker Put on a Great Womens Clinic In Boise Tonight! About 55 people turned out for the pool session! Devon did a great job coaching the masses. I was amazed at how many people she instructed during the evening. I think a lot of gals (and guys) were encouraged and had that boost of confidence that a good instructor can give you. Just a reminder – Devon Barker’s Clinic Friday Night! Come learn to roll or work on your brace for free at BSU! Oct. 5th! I am holding a video presentation followed by a pool night at BSU. All the details you need are below and in the attachments. I cannot wait to see all of you right before I leave for the Surf Wolds in Spain! 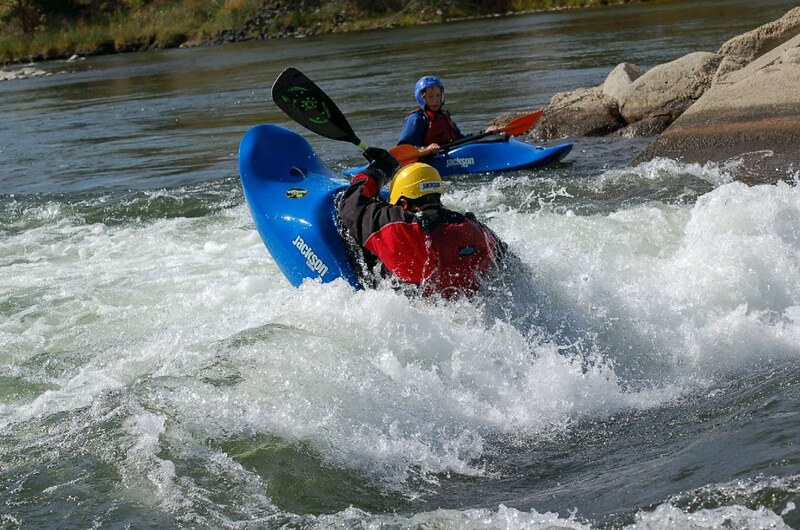 You can also check out the info on www.jacksonkayak.com! Spend the evening with not only a renowned kayaker, but also a renowned female kayaker. Devon is the World Surf Kayak Champion, a 2-time National Freestyle Kayak Champion, a National Certified Board Educator, and the creator of Dare to Kayak. Everyone is welcome to watch a slideshow of her incredible adventures on the World Kayak Tour and her other kayak trips around the world. 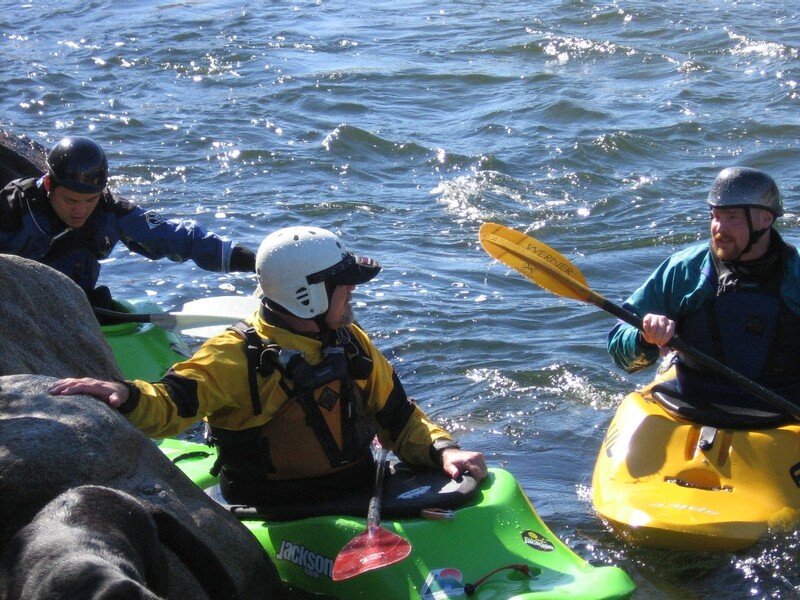 Her story and experiences will inspire female kayakers of all skill level. Then spend a few hours in the pool working on rolling techniques and outfitting kayaks to be more specific to women. Women and kayaking will be held on Friday, October 5 from 6:00pm until 7:00pm in the Student Recreation Center classroom for the slideshow, and then we will move to the Boise State Pool for rolling techniques from 7pm until 10pm. The cost is free. Don’t forget your water bottle and swimwear. Contact: Geoff Harrison, Assistant Director for Outdoor Program, (208) 426-2628, gharriso@boisestate.edu. Media Contact: Heather Gribble, Promotions Coordinator for Campus Recreation, (208) 426-5674, heathergribble@boisestate.edu. For additional details visit our web-site: http://rec.boisestate.edu/outdoor/climbing/events.cfm. By Zimo – Idaho Statesman Edition Date: 10/03/07 Forest fires burned along the Main Salmon and the Middle Fork of the Salmon in the Frank Church River of No Return Wilderness this summer, and whitewater rafters should see evidence of that when they start floating the rivers next May. Whitewater boater Scott Elder saw the effects of the fires on a recent Middle Fork trip. “We just finished a lower Middle Fork of the Salmon River trip this past week and saw a fair amount of wood in the water,” Elder said this week. “Some of it still smoking,” he said. The U.S. Forest Service told Elder that there are over 100 trees in the water from Boundary Creek, the launch site on the river, down to Thomas Creek. Boaters will probably see more mudslides and logjams next year. 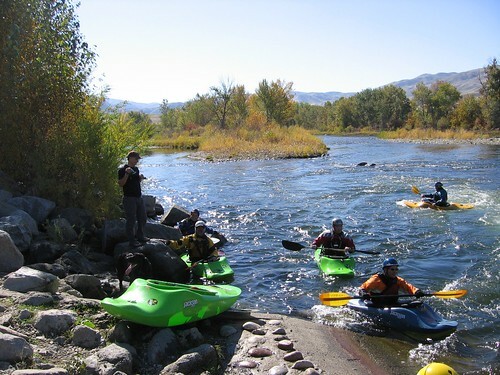 Southfork Landing and Cascade Raft and Kayak on Tuesday will announce plans for a whitewater park in the Garden Valley area. 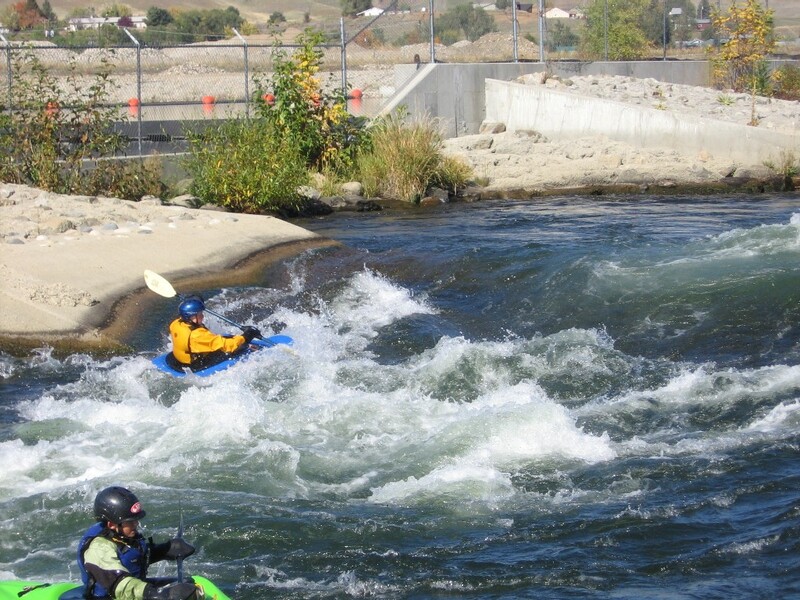 Plans and renderings of the Payette River Whitewater Park at Southfork Landing, a housing development near the Alder Creek Bridge along the South Fork of the Payette River, will be displayed during a joint press conference at 10 a.m. at the Grove Hotel. 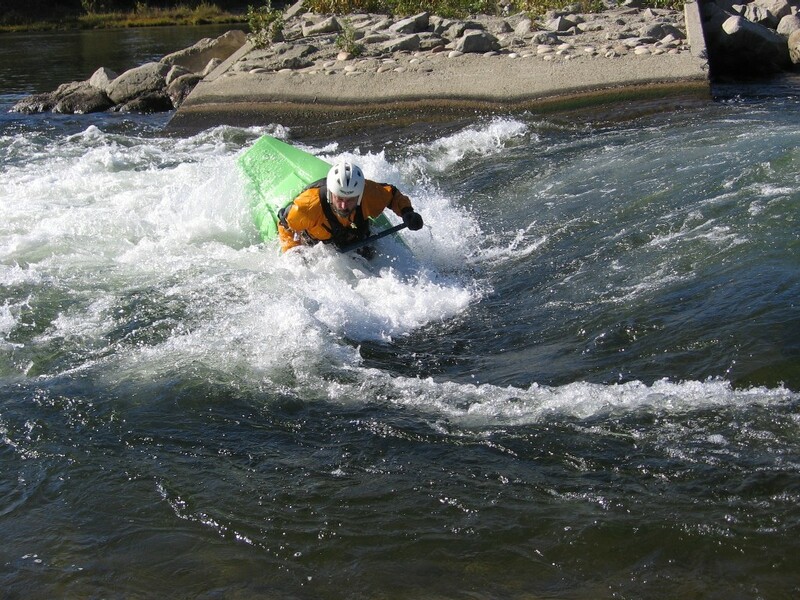 Tom Long of Cascade Raft and Kayak, a river outfitting company on the Payette River, will introduce the architect, builder and Olympian spokesperson who will also be involved. 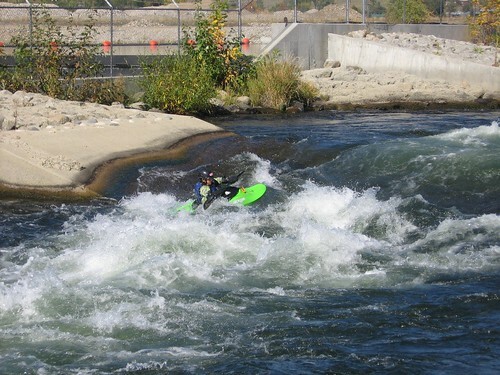 The whitewater park is the first of its kind in the United States and of Olympic caliber design, according to Long. What is being called the first self-contained, pond-to-pond, privately developed whitewater park, will be constructed in the housing development. Water will be pumped from the lower pond to the upper pond. The system will be self-contained and not connected to the river, said Long. “We’ll have a standing wave and soft hole,” said Long, who has been teaching whitewater kayaking for 25 years. 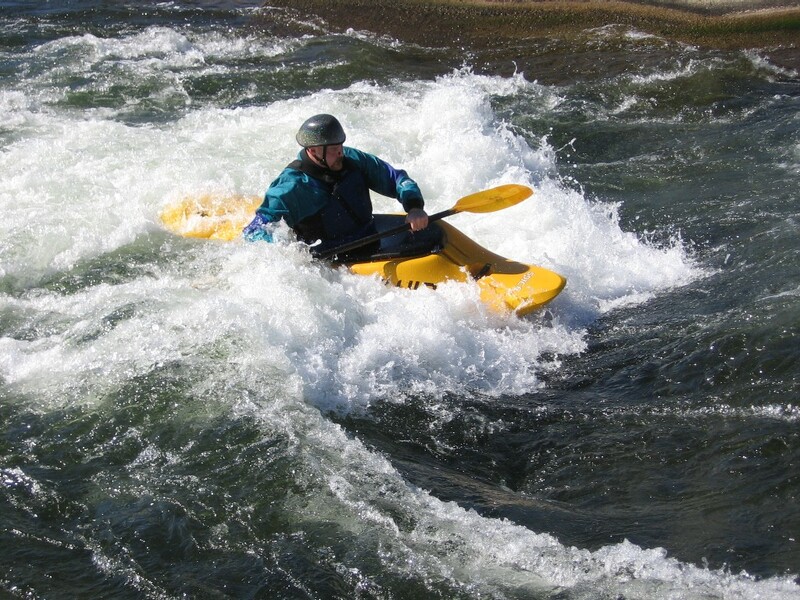 The water flow can be lower for beginner boaters or increased when needed for more advanced students. “It will be soft enough to take inner tubes down, or we will add water to make it more difficult,” he said. Long said the design calls for pumping 230 cubic feet per second in the course, the same level as at the Fish Ladder along the Main Payette River at Horseshoe Bend. 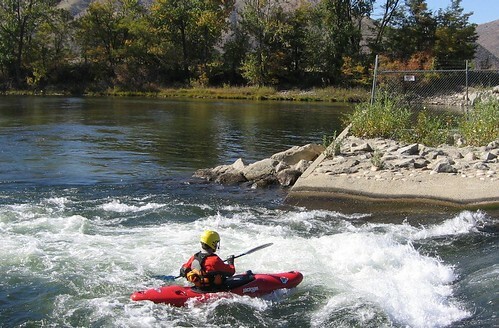 The Fish Ladder, located at a dam, is a popular play area for kayakers and also a place where Long has taught kayaking. 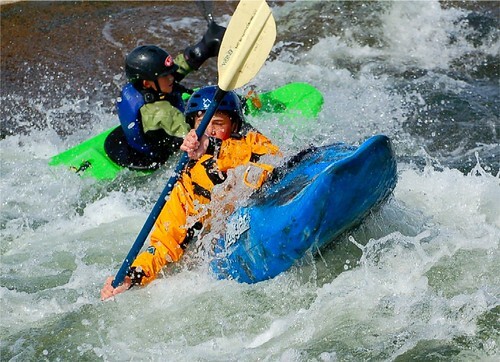 Long expects to move Cascade Raft and Kayak’s kayak school up to the course. The school teaches about 450 youths each summer. Long said the course could be completed by next summer. 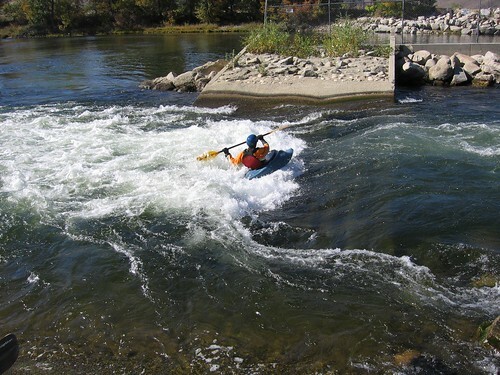 Whitewater parks are water developments with waves, holes and courses where kayakers can take lessons or train. 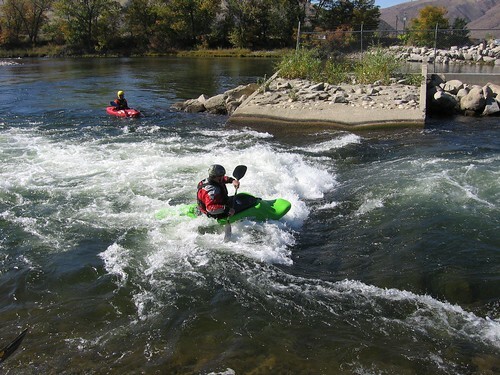 Whitewater parks are also being planned along the Boise River in Boise and along the North Fork of the Payette River in Cascade. Fundraising is being conducted for those two public parks.